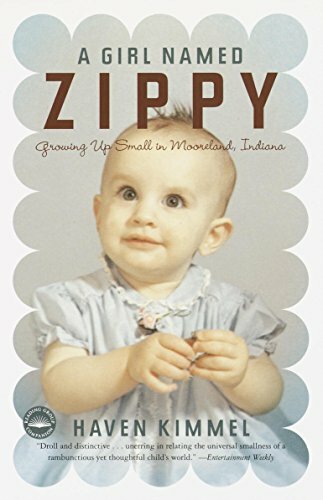 I'm reading A Girl Named Zippy: Growing Up Small in Mooreland, Indiana, Haven Kimmel's very funny memoir of her childhood in a small and quirky midwestern town. In this passage, on page 270, Haven, known as "Zippy," is agonizing about her Christmas present from Santa. She has asked him for a piano, but she's pretty sure she isn't going to get one, and is mentally ticking off the reasons why asking for it was a bad idea. "What if Santa was actually mad at me for asking him to carry such a thing as a piano all the way from the North Pole? What if flying it around caused one of the reindeer to founder, and Santa had to stop and shoot it in the head?"